Historical documents online: Five best digital archives from 2014. Like 2013 before it, 2014 brought us a wealth of new digital archives and document-rich historical websites to peruse. Here, in no particular order, are five of the best such sites I saw this year. I’ll recommend five more tomorrow. 1. 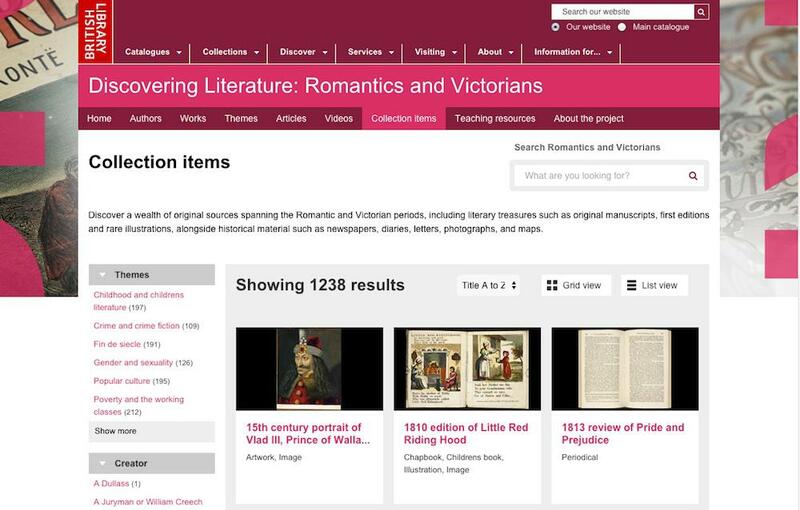 I featured more than one document from the British Library’s 1,200-item archive “Discovering Literature: Romantics and Victorians” on this blog in 2014. (For example: Jane Austen’s collection of criticism from friends and family; a panoramic image of the 19th-century River Thames at its smelliest.) The site also features films and teachers’ notes for lesson-planning, and is searchable by author, work, or theme. Some good themes to browse: popular culture, technology and science, or visions of the future. 2. The Photogrammar site, a Yale project, is an interface designed to make the huge archive of 1930s and 1940s Farm Security Administration and Office of War Information photographs more accessible for browsing. A search function sorts the photos by tags (“WORK - Selling and Distribution - Scavengers“; “PEOPLE AS SUCH - Groups and Individuals - Farm Women”), photographers, and location. A county-by-county map allows you to look for photos taken in a particular place, and to see which parts of the country were most covered. 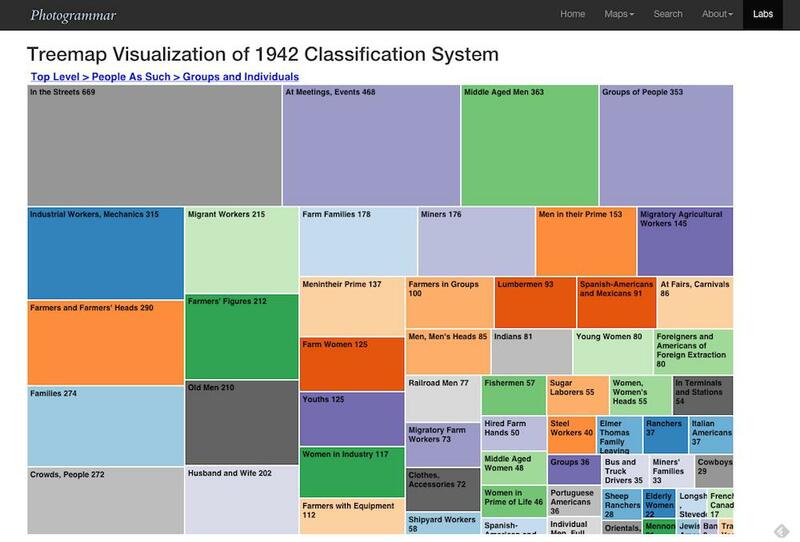 My favorite page is the treemap visualization, which shows how some of the photos were classified in 1942, and lets you drill down into the collection through several levels of subthemes. 3. 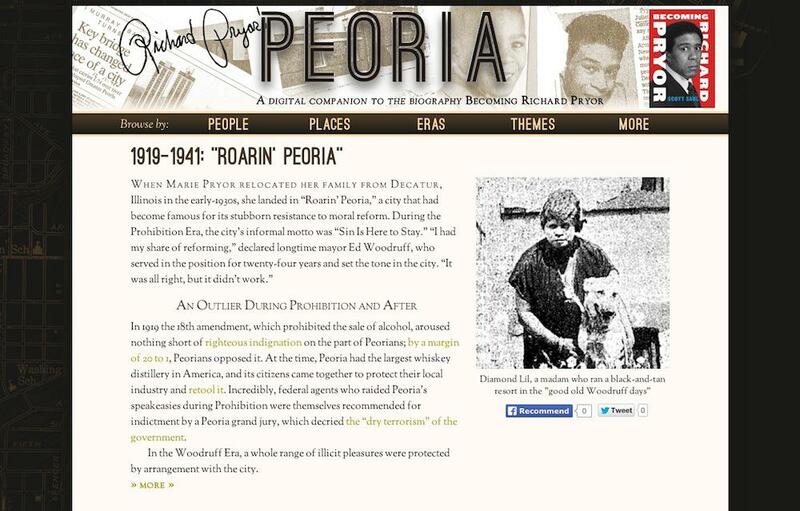 Richard Pryor’s Peoria is a companion site to Scott Saul’s Becoming Richard Pryor, a new biography of the comedian’s early years, the earliest of which were spent in the town once known as “Roarin’ Peoria” for “its stubborn resistance to moral reform.” Newspaper articles, photographs, and documents track Pryor’s schooling, the fate of his family’s various businesses in the town’s red light district, and the local racial conflicts that shaped his point of view. It’s a biography of a performer, but also a local history of a small city sharply divided by race, class, and struggles over respectability in the middle of the 20th century. Histories of the National Mall. 4. 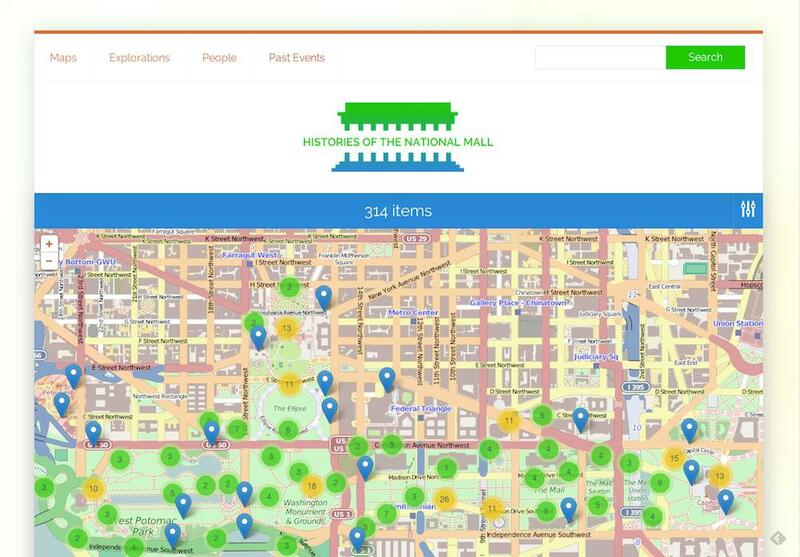 Histories of the National Mall, produced by the Roy Rosenzweig Center for History and New Media at George Mason University, is designed to be a companion site for visitors to Washington, D.C., and is mobile-optimized for use on tablets or phones while walking the Mall. Visitors can access a Google map of the mall with an overlay indicating locations of historic events, and click through to explanations and biographies of key players in Mall history. The site turns the Mall itself into a museum, showing how this public space took on symbolic significance at various points in the past. 5. Finally (for now! 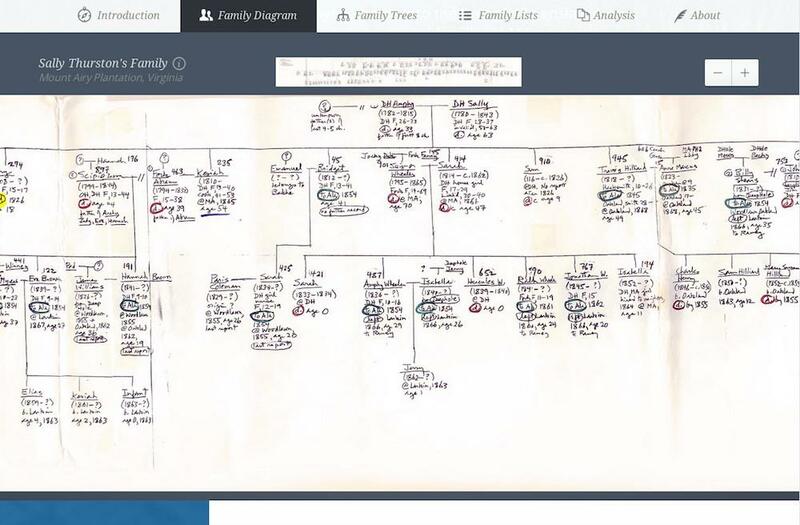 ): Building on the research of Penn emeritus professor Richard S. Dunn, who has been tracking the family histories of enslaved people in Jamaica and Virginia for decades, the Two Plantations website contains family diagrams, trees, and lists drawn from enslavers’ inventories. In Jamaica, slaves died at a high rate, and sugar planters replaced the dead with newly purchased people from Africa; in Virginia, where far fewer died, families were instead broken up by sale. The site allows direct comparisons between the two patterns, while also showing the careful work it takes to recover these types of histories.